Big changes are happening at the company. There are some big shake-ups currently taking place in the game industry, and it looks like one of its heaviest hitters is seeing some changes at present. 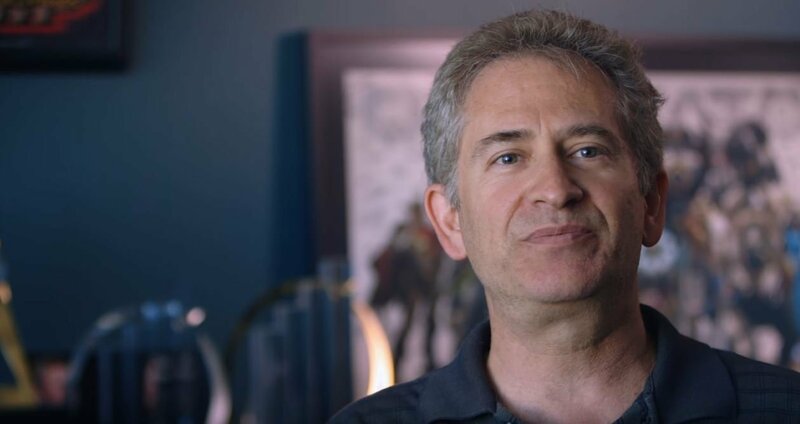 Blizzard Entertainment co-founder and president Mike Morhaime has stepped down from his position at the company, effective immediately, the company has announced via press release. Morhaime will remain at the company as a strategic adviser, while World of Warcraft executive producer J. Allen Brack has taken over as acting president. Chief development officer Ray Gresko and Blizzard co-founder Allen Adam have joined the executive leadership team as well. Morhaime has departed the company after 12 years, though the announcement cites no reasoning behind his decision to step down. We'll likely be hearing more about the changes at the upcoming BlizzCon 2018, as Morhaime has traditionally delivered the keynote at the event. We'll have to wait and see how things shake out this year. Stay tuned to Shacknews for additional updates. For mike to just walk away in a day like that means something happened. We might never know what it is. It's gaming news therefore there has to be some massive controversy that's a slap in the face to someone and everyone. The press release doesn't say anything about it being "effective immediately". It says that Mike is staying on as a strategic advisor. typically, the transition of a CEO - even a brand CEO - inside a big company is done with a bit more transition time. We don't know how long this has been in the works for. Just because the outside heard about it today doesn't mean that internal plans for succession hadn't been happening before. Morhaime has been leading the company for over 25 years, it seems reasonable that he'd decide to retire. He's also staying on board as an adviser, so again, this doesn't seem really strange to me. "Morhaime has departed the company after 12 years"
"J. has been with Blizzard for over 12 years leading the World of Warcraft team..."
Interesting. I like Blizzard games. I wonder why he did that? He's been at it for a long time. It's possible he's just ready to move on. Life is already tricky with no guarantees, and he's in a fortunate position. If he wants to take time to be retired and just enjoy life, I can't begrudge him that at all. Is it becuase of the bad reception BfA is getting? Jeez, you guys are fishing for controversy! He's 50, and has been working at Blizzard for 27 years. I'll bet he just wants to do something else for a while. Or maybe just retire from the industry and enjoy life for a bit. Honestly it was weirder seeing Metzen quit and retire. I would think with Blizzcon around the corner, he's making sure that the exec team has settled in to make the event as good as it can be. No reason to have a doubt of change looming over what should be a fun thing.